Advertorial page for Sherwin Williams, featured in Food Network Magazine. 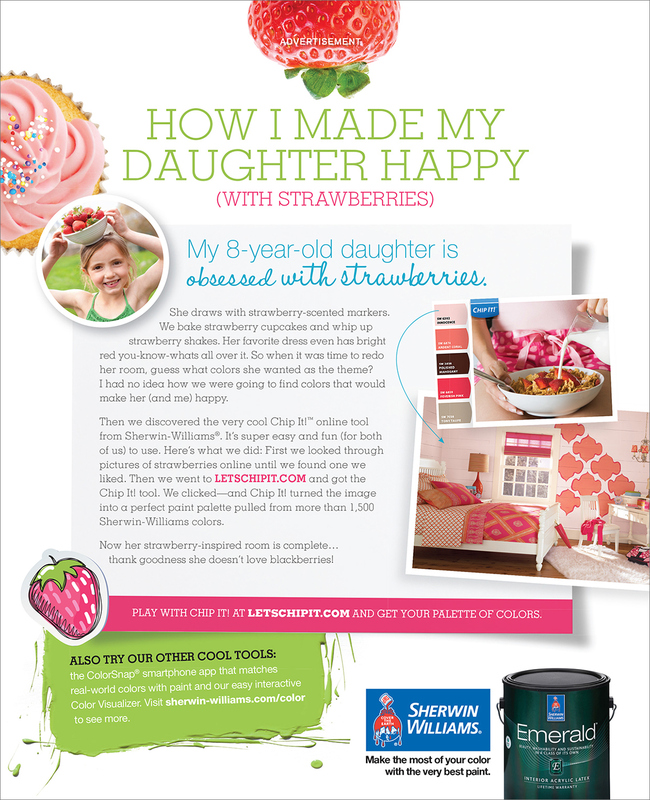 We worked with Sherwin-Williams and a copywriter to craft an engaging story from the perspective of a mom who wants to theme the perfect bedroom for her strawberry-obsessed daughter. Using Chip It technology, mom was able to sample colors from her daughters toys and decor and and find the perfect paint match.